For sometime now there is a huge debate brewing on regarding intolerance in the country effectively creating a schism between the various sections of Indian society. 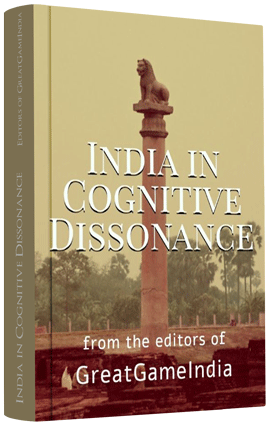 While each group is busy voicing their fears or anxiety accusing the other of ruining the culture and heritage of India, none seem to pause and grasp the idea of how their internal strife is playing out in the geopolitical theatre. More importantly while we are so busy fighting among ourselves like cats; who really is the monkey gaining from our internal divide? When India was neither divided nor occupied by the British, the following article was written by Afghani a resident of the subcontinent of India in 1883 where he analyzed the coming dangers to India which they viewed as a source of inspiration and centre of knowledge. He also analyzed the British mind and the Great Game at that time incisively and explained their methods for one and all. Most importantly he warned that Indian intellectual mind will be destroyed, disrupted and dissipated where by making India a voluntary slave nation. He warned the Balkanization of India and Talibanization of every religious group in India. In the end he said there is still time to correct ourselves and correct the course of mankind. From the time of Afghani, Afghans in general, Pathans in particular, never recognized the partition of India. For them it is still India of the yester years. The following video titled as “Salim Khan replies to protesters, critics; asks to send him to Afghanistan instead of Pakistan” was shot on the occasion of the success meet of the movie Bajarangi Bhaijan in which Salman Khan’s father is accused of being a Pakistani and a terrorist and was asked to go back to Pakistan. But the smiling descendant of Afghani stated that he was a Pathan from Afghanistan and came to India with other Afghans and he would never go to Pakistan and if at all he goes he will go to his motherland Afghanistan. 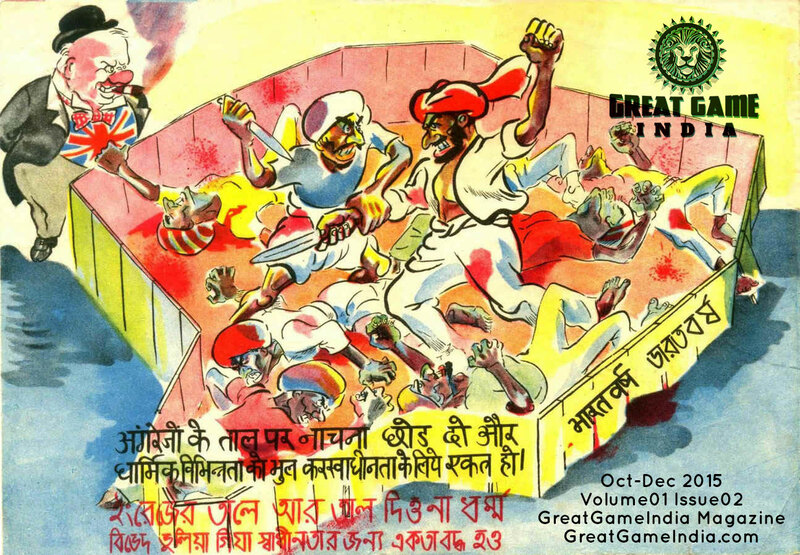 This following article was translated almost a century later after it was written and forwarded to the Editors of GreatGameIndia Magazine by Mujeed Ludin, an Afghan activist working for peace and prosperity in Afghanistan. The Orient has fallen down in a pit of misery and wretchedness from her high position of magnificence. Poverty and hunger are prevailing over her inhabitants. Disgrace and indignity is in command over them. Being under the attack of the Foreigners, it has deprived them from the shine of wisdom, inspiration, and reasoning. They have forsaken to take advantage from their intellect and have ruined their morality. That is why they have chosen brutal and/or sheepish way of life. They pay no attention or think about any talk or issue. They do not refrain from wickedness and corruption. They have not learnt to try hard in order to earn a better livelihood and to save themselves from danger and loss. Their mind is overpowered by sleepiness. Their thoughts and ideas are too weak to improve themselves. Their eyes are excused to see and identify those miseries and wretchedness’s that have covered their atmosphere and have narrowed the space on them. Their steps take them to the fall in the pits of destruction, corruption, annihilation, and perishing. For the dark desires of their self-interests, they have found their paths in the deviations of fear. They are following these same fears and suspicions; and parallel to it, they are leading the way for corruption, mischief, perverting, and deviation in nature. Until the time that their bodies are not struck by calamities, they would not feel the pain. And when the pains relieve them, they will quickly forget it like a beast. They do not sense the dilapidation and shabbiness of their intellect. Their eyes are covered with the film of ignorance. Because of abundance in neglect and carelessness, they give the living a meaning only for this life. Like the beast, the eating, the drinking, and the mere surviving has become the imagination and notion for life. Fame, commemorations, recollections, and the tastes of pride and honour that are chosen for the enjoyment of Human Beings have no relation with them. They are not able to anticipate or evaluate the outcome of their actions. They do not want to try finding what they have lost. Whatever obstacles and problems exist in front of them, they do not try to remove or solve them. Whatever problems, hardships, and difficulties that are brought about by the environment, they do not want to understand them or diagnose them. That is why they are facing misery, misfortunes, infamy, and public disgrace and do not feel or attach them to themselves, and is so unconcerned about all these serious issues. He is happy with this slavery and has forgotten his previous grandeur and magnificence. When someone falls down from such a high level of intellectual and advancement position, he loses the dignity and his rank also. Cruelty and tyranny become dominant on their hearts. Fault, selfishness, and disgrace have taken a firm grip on them. While having a miserable and degrading state, he still makes proud and majestic statements. He wants Division and Enmity to be prevalent among the General Public. Betrayal and Treachery are laws for him. Spite and tell tales are his Slogans. Greediness and covetousness are garments for him. He considers impudence, malice, and villainy to be his dignity. They are famous for timidity and fearfulness than all the rest. They satisfy their inferior level desires quickly. They have grown up in the enjoyment of their physical desires. They rely much on feebleness and disorder. They have adapted for themselves the attributes of the beasts. They force the strong to become weak. They scheme to defame the honourable persons and force them to their slavery. They are traitors to their own Countries and are tyrants to their neighbours. They plunder the possessions of the weak persons. They do not abstain from breach of promise, perjury, and violation of treaty. They cooperate with the Enemies in the destruction of their Motherland. Honour and Manliness have no meaning to them at all. In their opinion, a wise person is unwise; a Ruler is one who is Tyrant. And in Justice, the Judge is a Traitor who betrays. He has no Advisor or a Guide to show him the right path. There is no one who would teach, and there is no one who would awake them from the deep sleep of mental and moral lapse. To summarize, after having become accustomed not conforming to accepted morality, and their intellectual faculty has deteriorated and has become inferior, they have become victims of misery and destruction. The events that have happened to the Orientals are explained above. After giving enough consideration, we can say that they are facing permanent misery and destruction because of their deviation from the path of their intellect. They are themselves the cause for the destruction of their Countries by their improper management that lacks prudence, anticipation, and exact evaluation. Because of their improper policies, and not anticipating the means and remedies of counteracting or removing anything undesirable, they have become weak. Because of their lack of knowledge and their wickedness, and also because of their joint conspiracies, they have facilitated the circumstances for the rule of Foreigners in their Countries. At the time that Shah Sultan Hussain was ruling, he wanted to invade the Isfahan where the Afghans were ruling. In confrontation to Shah Hussain, the Ottomans conspired with the Russian Monarchy to share the Iranian Cities between themselves. 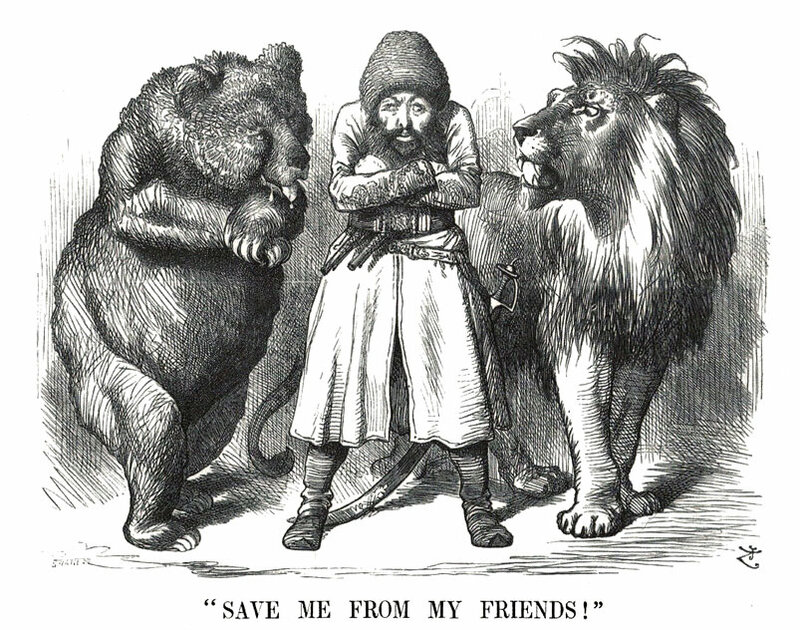 If the Ottoman King would have implemented intelligent plans and policies and would have understood the inherent nature of the Russians and would have known what kind of conspiracies they were scheming with the Greeks, Romanians, Serbians, and the Bulgarians, and as a result of their Treaties what and how much more dangerous and powerful their Enemy would have become by their this cooperation; then they would never have agreed to their joint conspiracies with the Russians; and instead, would have tried hard to dismantle their foundation and bases.